Open since November 15th 2013, the pousada Pontal Gardens Inn is the legitimate aspiration to a better life of a married couple. 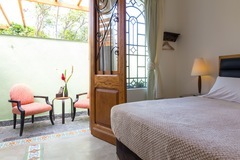 Is the result of a dream sewn many years ago. 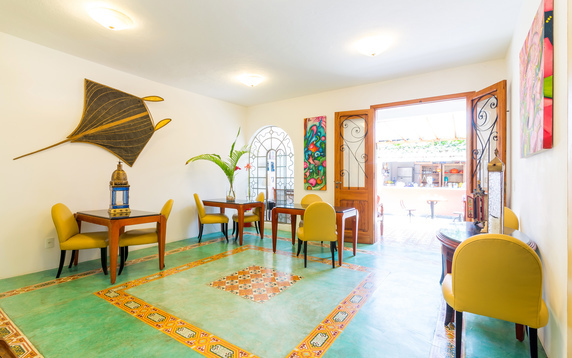 A place made to cultivate love and friendship. Time stands still at Pontal Gardens. 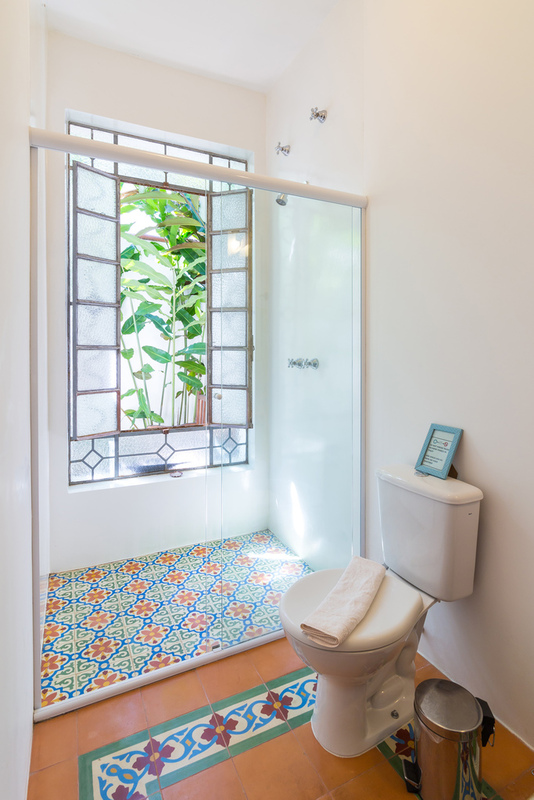 The views are always breathtaking, the air fresh. 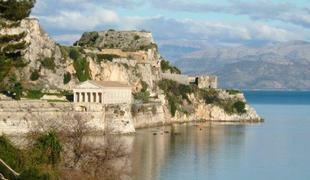 Most attractions can be reached on foot done, as you contemplate and admire local nature and unique architecture. 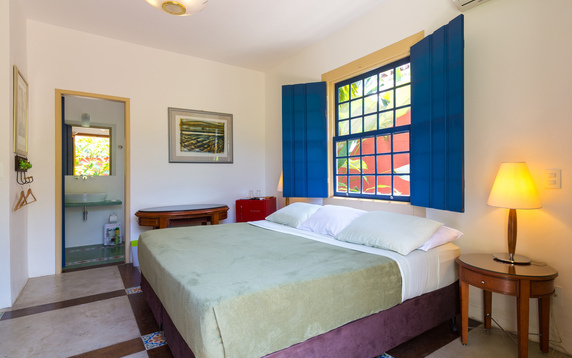 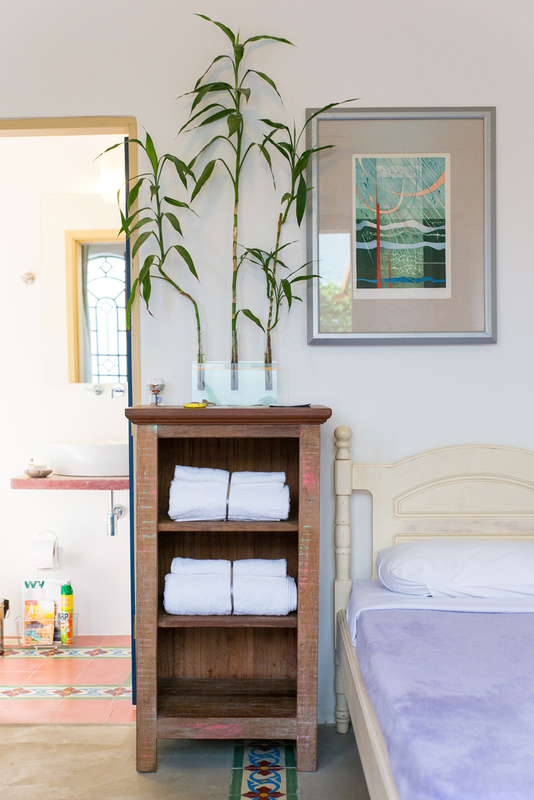 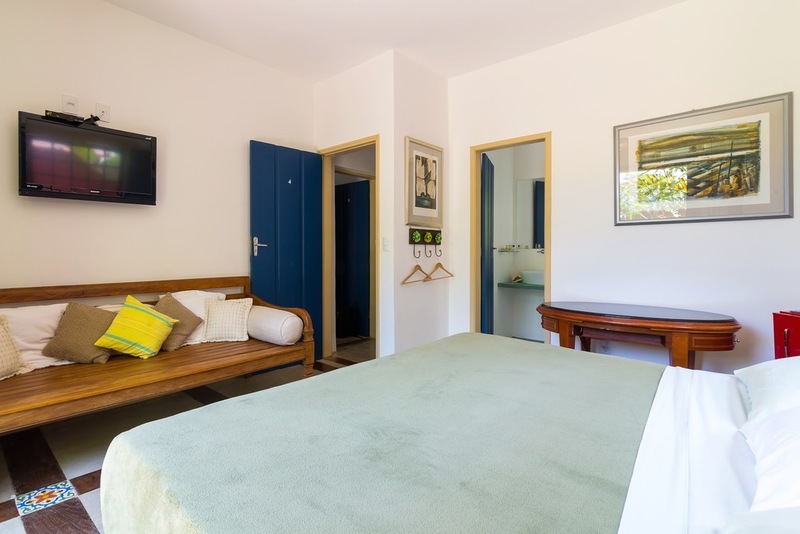 To add to all tranquility and peacefulness, we also pay attention to the details: comfortable beds and top quality egiptian cotton linens as well as central heating for shower and good water pressure to relax even further after an amazing day in Paraty. Astonishing Breakfast is served from 8:30 to 11am so there's no need to wake up in a hurry .Time goes slowly around here. 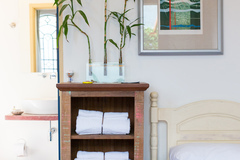 Our inn is intended for adults only. 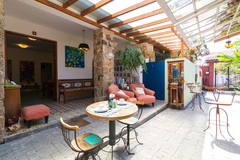 We do not accept children under 12 y/o. 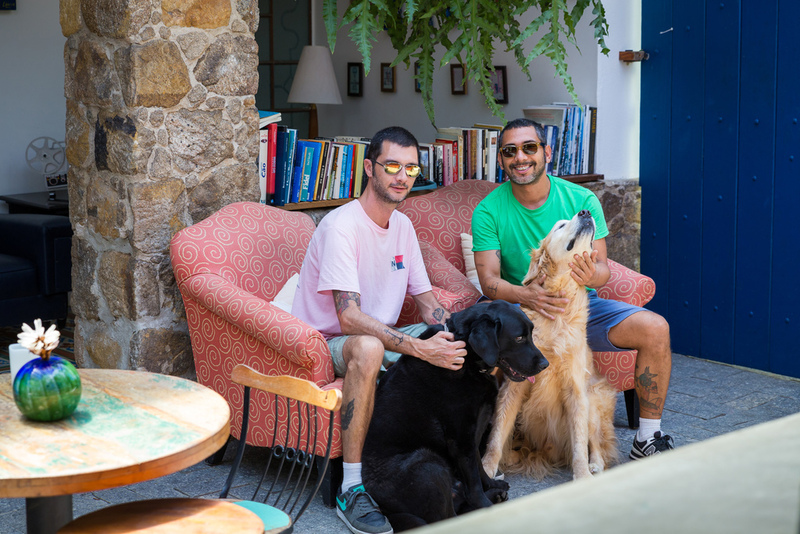 Guests travelling with their pets are welcome. 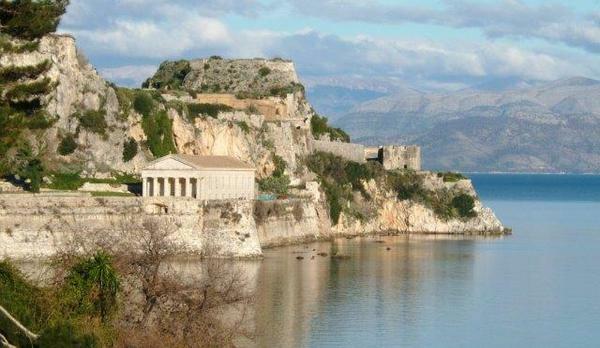 We do and can recommend popular places to eat, the best beaches, waterfalls and boat rides. 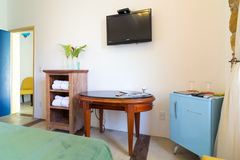 Our location is central and perfect to explore the region and environment. 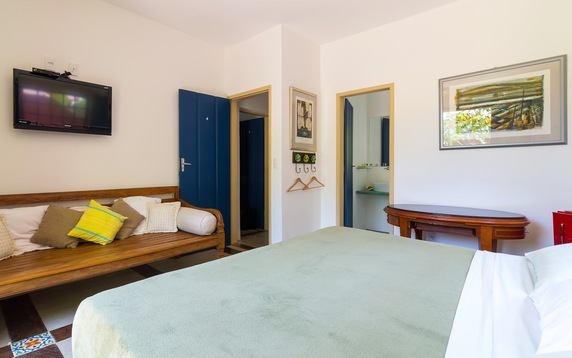 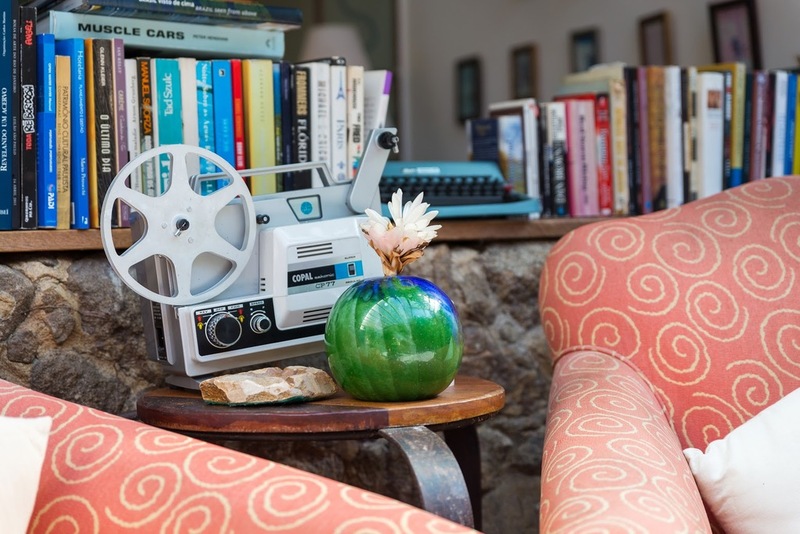 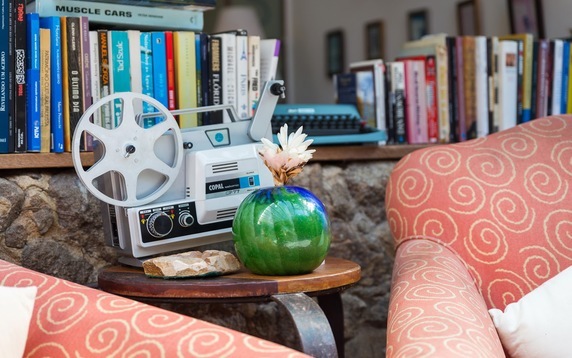 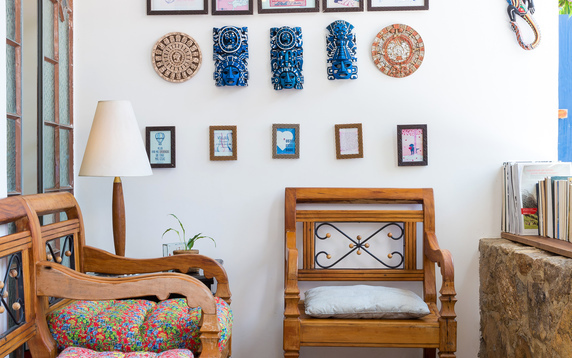 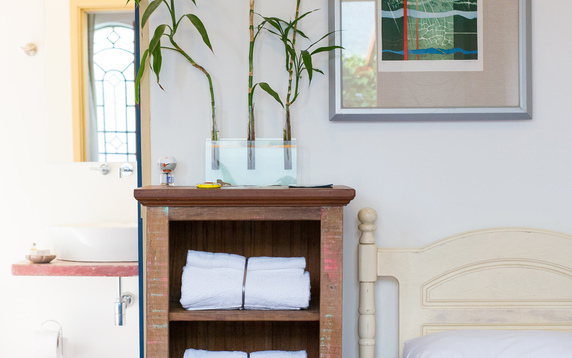 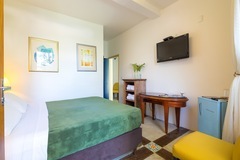 Each of our rooms is uniquely different and has been tastefully decorated with attention to details, using locally crafted furnishings and artwork, as well as quality linens and beds. 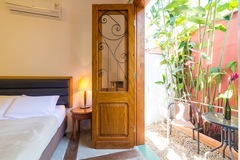 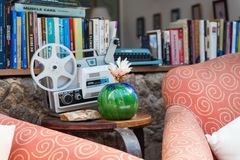 You will enjoy our Beautifully old fashioned house! 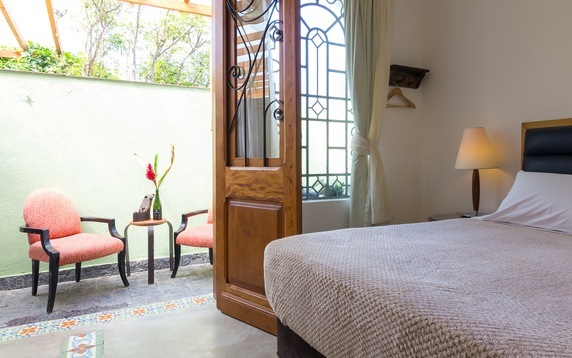 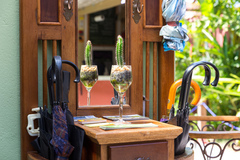 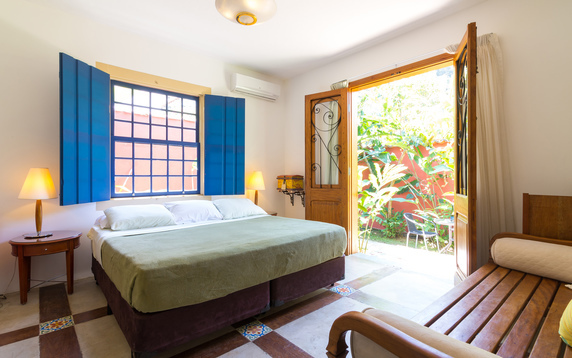 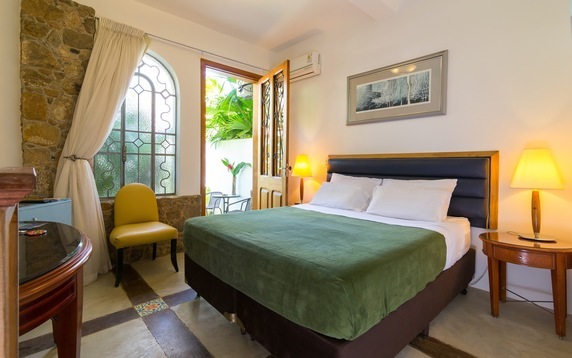 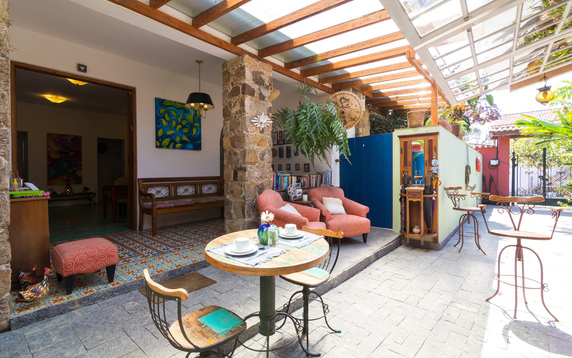 We are a Portuguese Colonial style building with amazing tropical gardens, private garden and patio to each room. We have a unique and central location to one of the most gorgeous cities in Brazil. 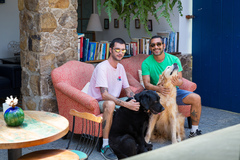 Few hours ride from Rio de Janeiro and São Paulo. 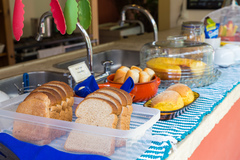 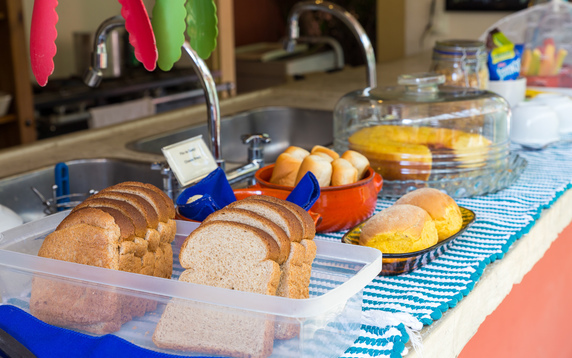 Delicious cuisine around town. 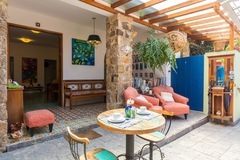 Paraty´s restaurant are specialized in seafood and shrimp fishing is well known and appreciated. 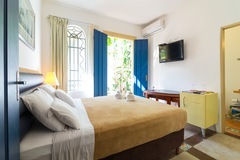 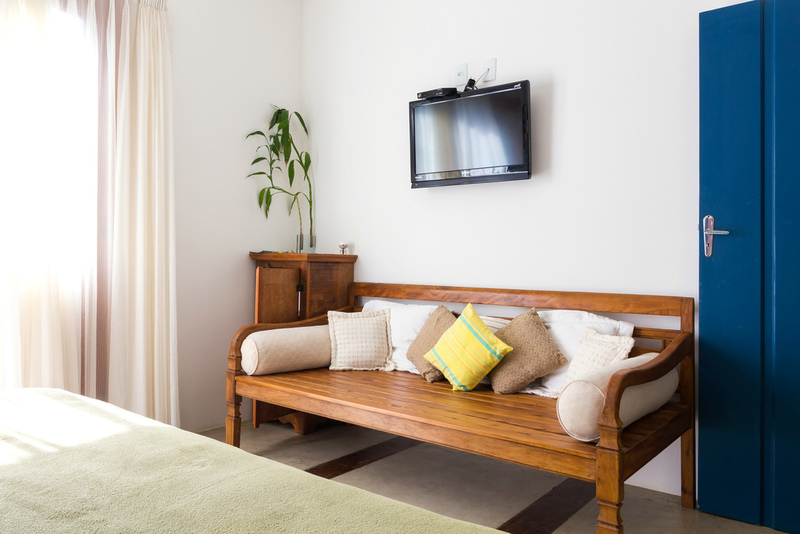 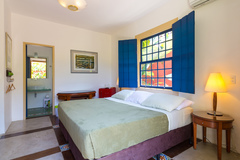 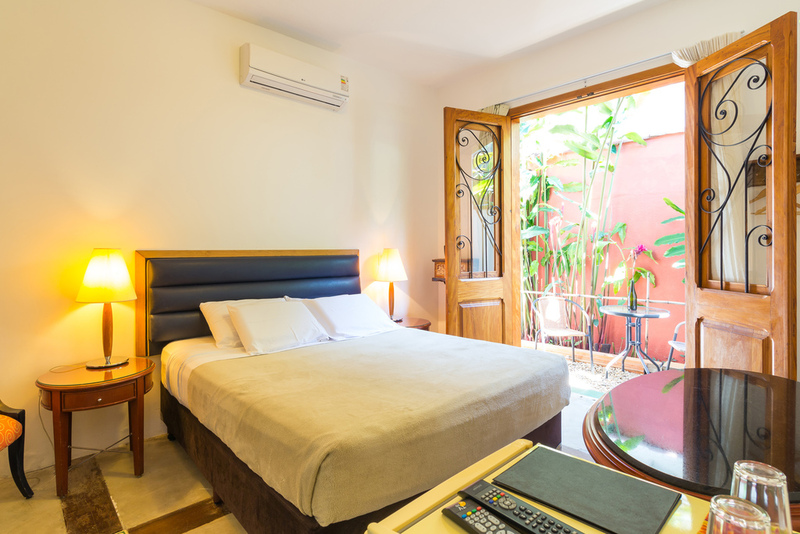 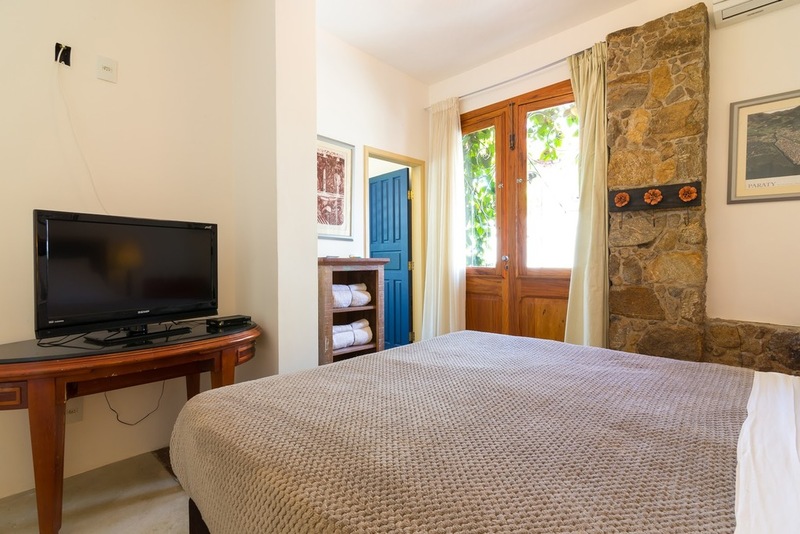 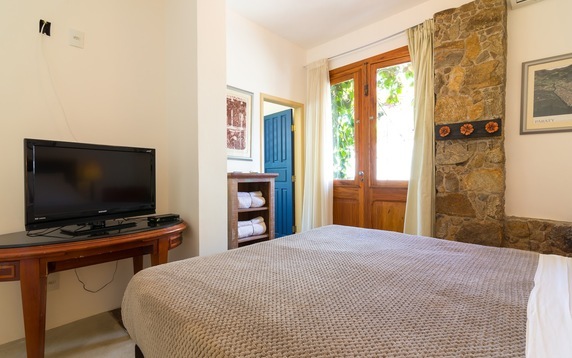 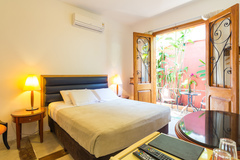 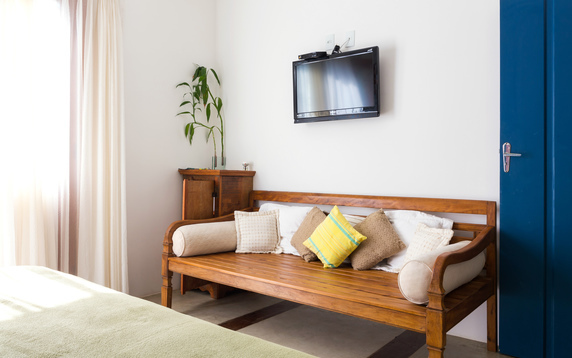 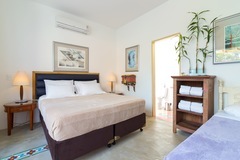 Our rooms are bright, clear, pristine clean and comfortable. 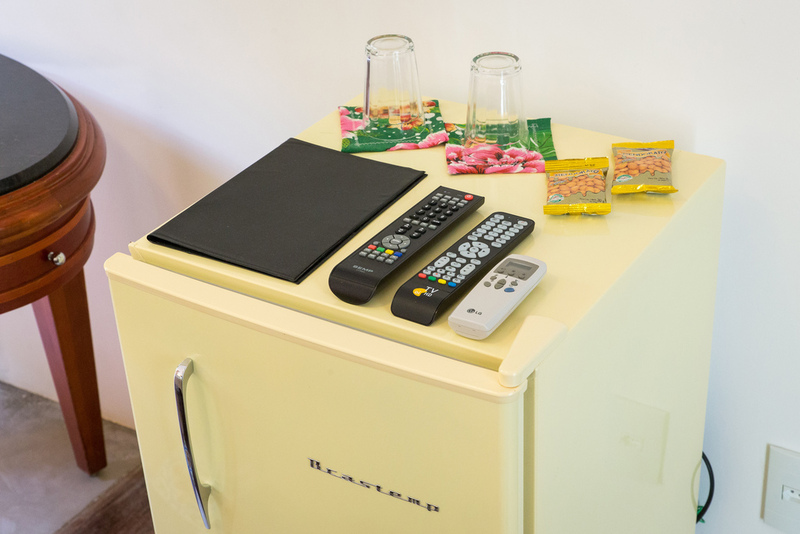 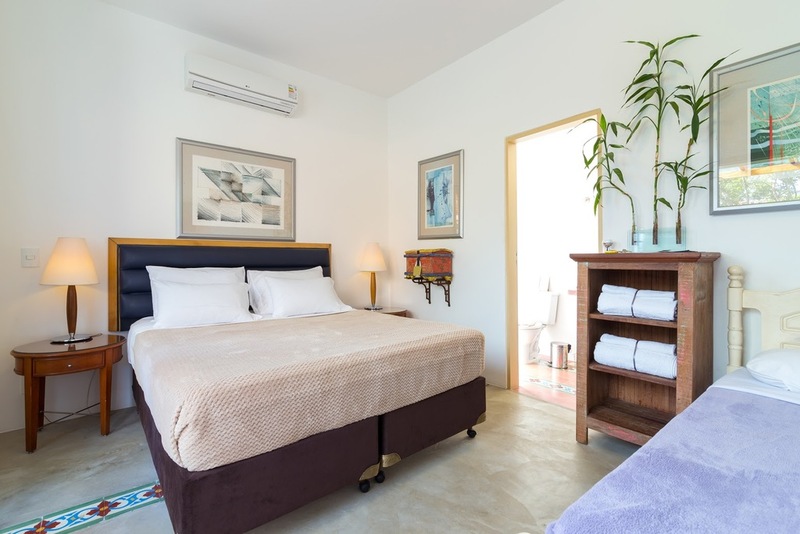 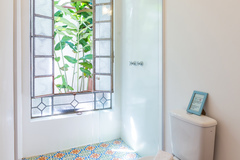 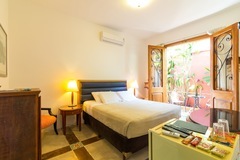 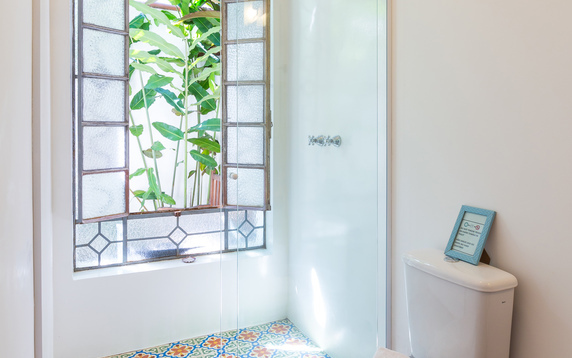 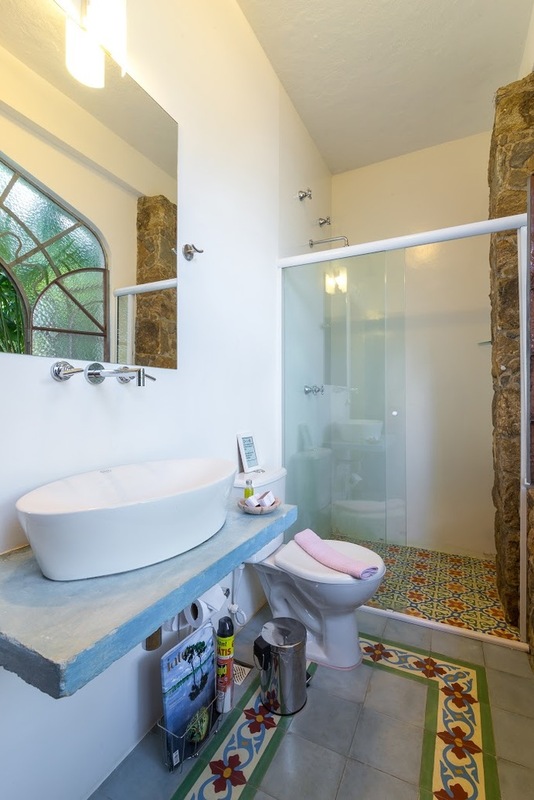 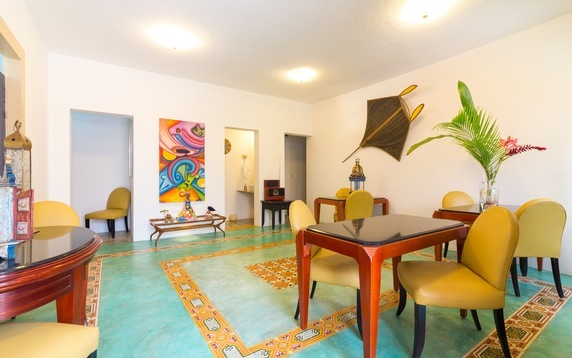 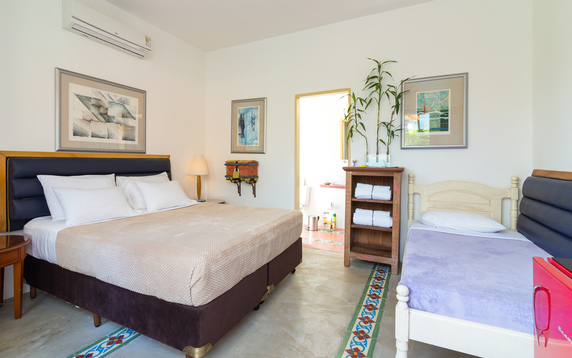 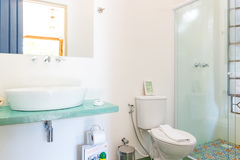 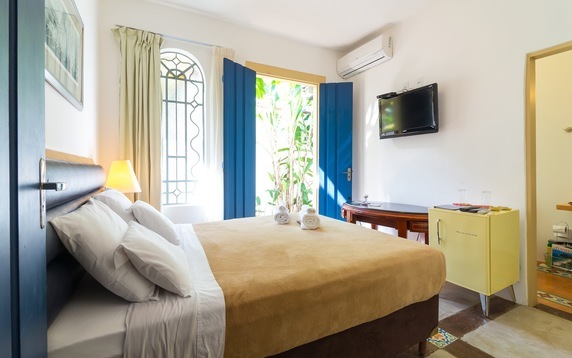 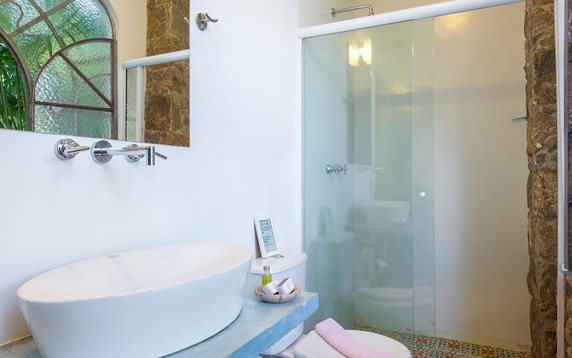 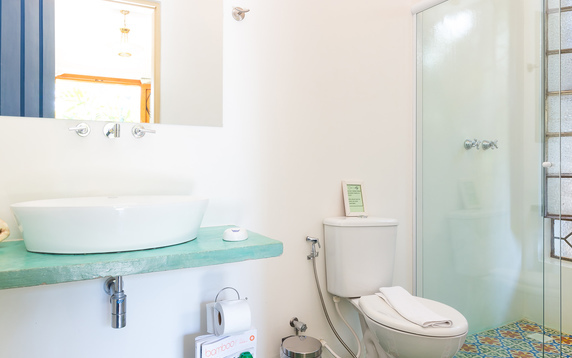 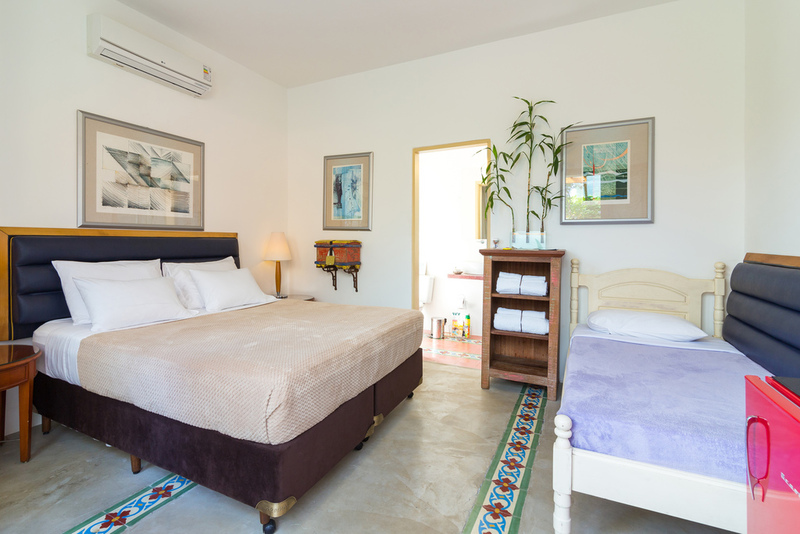 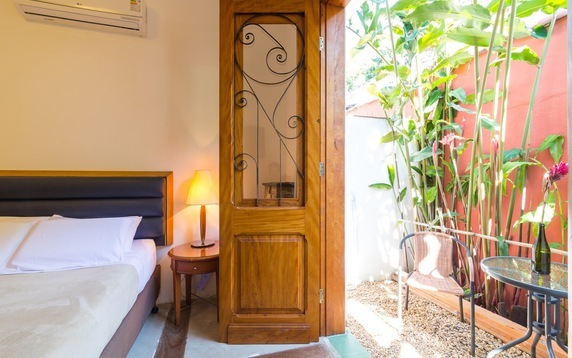 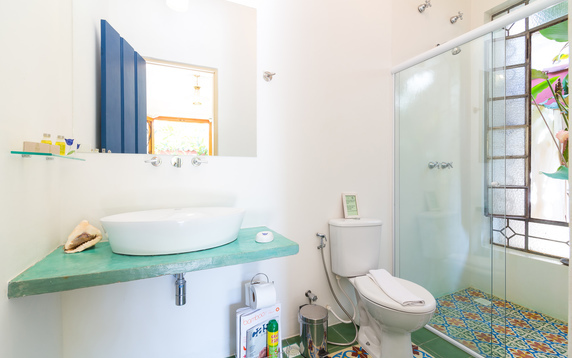 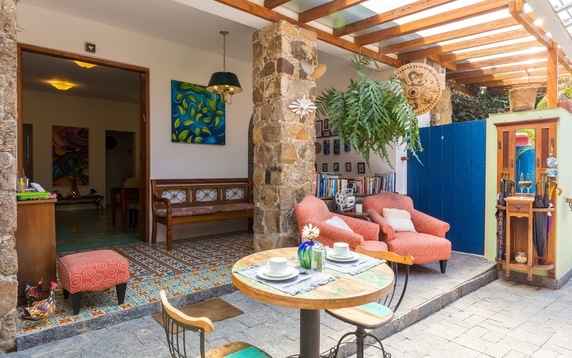 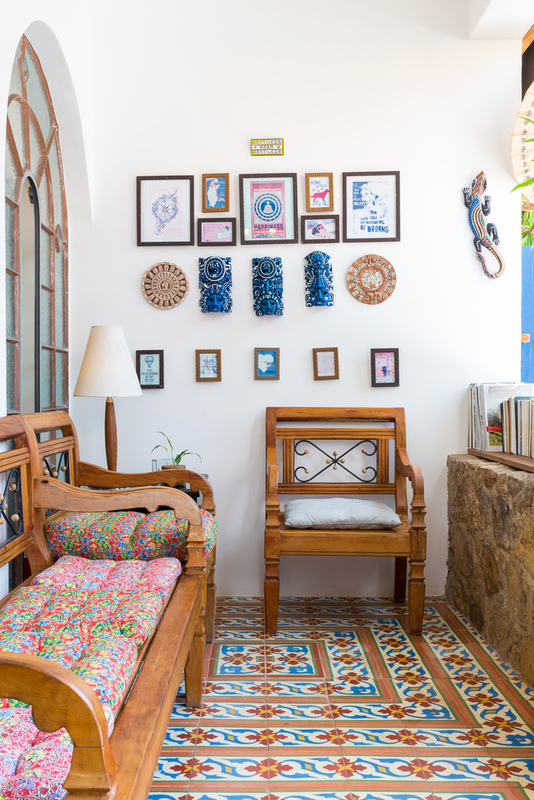 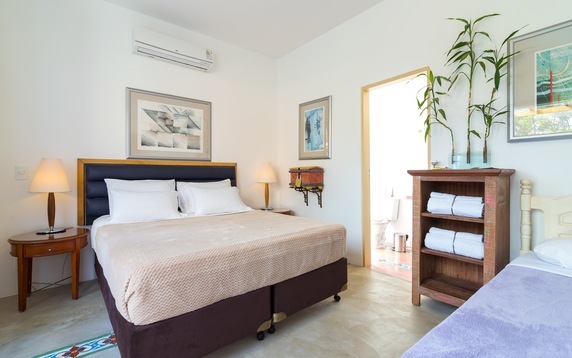 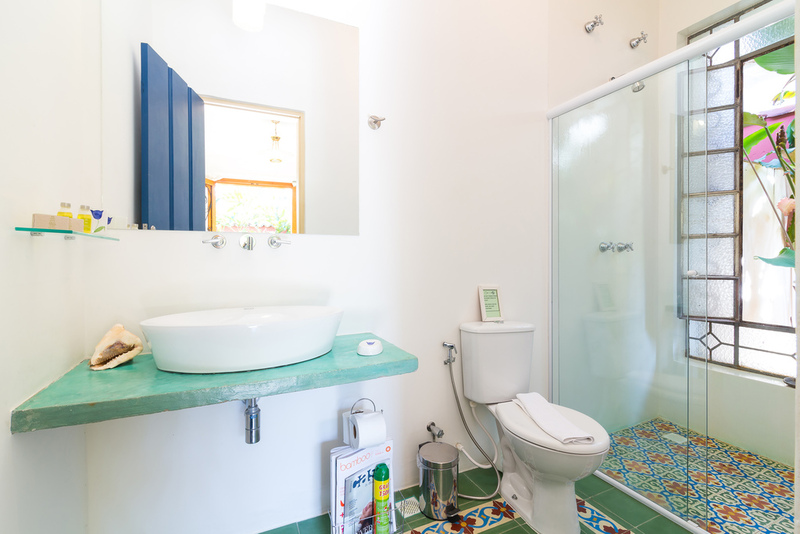 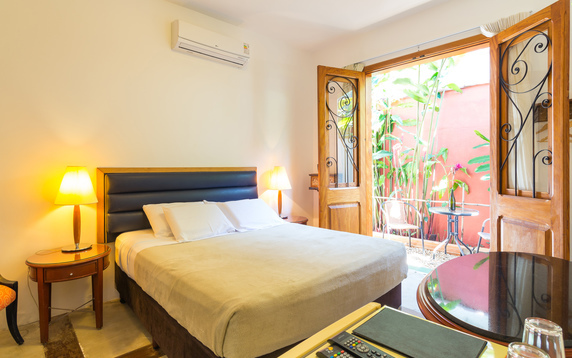 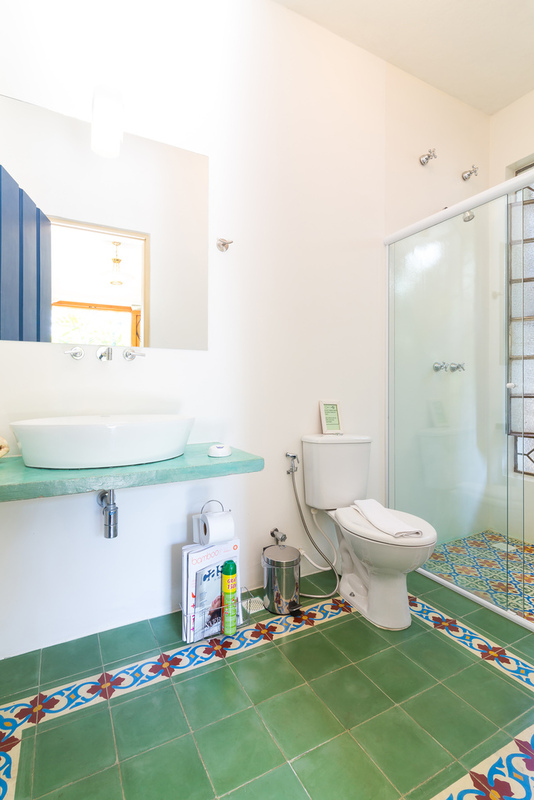 You will have a Private garden, modern mini split AC, mini-bar in every room, amazing shower, old fashioned tiles, L´occitane amenities, beach towels and a professional team fluent in 5 different languages. 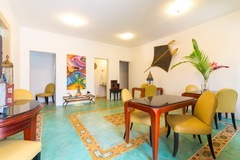 We are in a very central and safe area, walking distance from the best features in town! 20% discount for stays of 3 nights or longer (applicable to all rates offered). 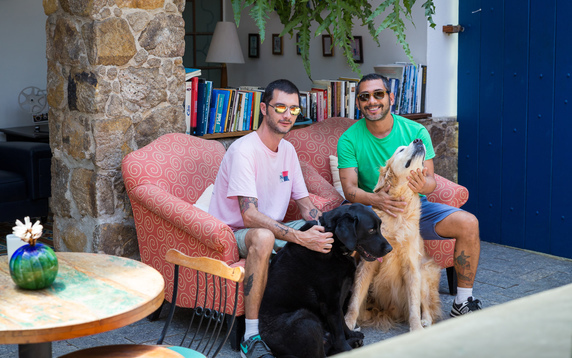 Welcome Caipirinha Drink to all My Gay Getaway guests!